We are SO EXCITED about our upcoming, world-wide fundraiser! 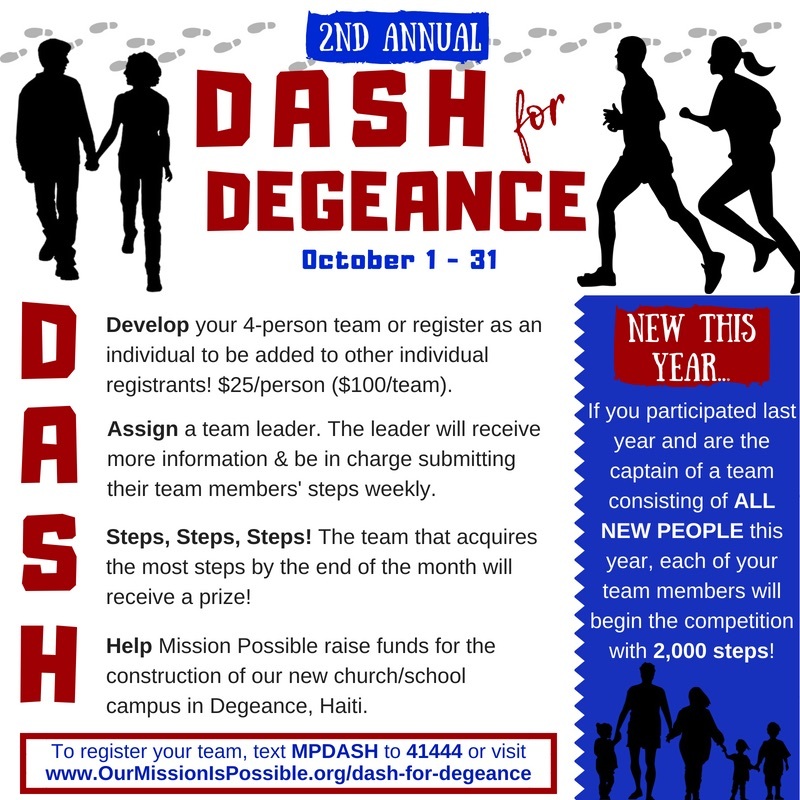 Thank you for participating in our Dash for Degeance fundraiser event! 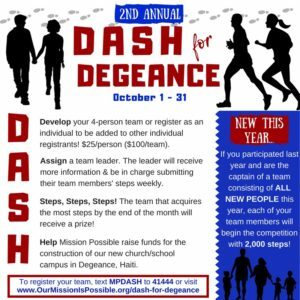 This event will last the entire month of October, with the money raised going towards our new Degeance church/school campus in Haiti! Your team captain will be receiving more information from Rene as to how to submit your steps, etc. The leading teams will be posted to social media periodically throughout the month so you can know how your team is doing! Thanks again for your support and participation! Please email Rene@OurMissionIsPossible.org with any questions!